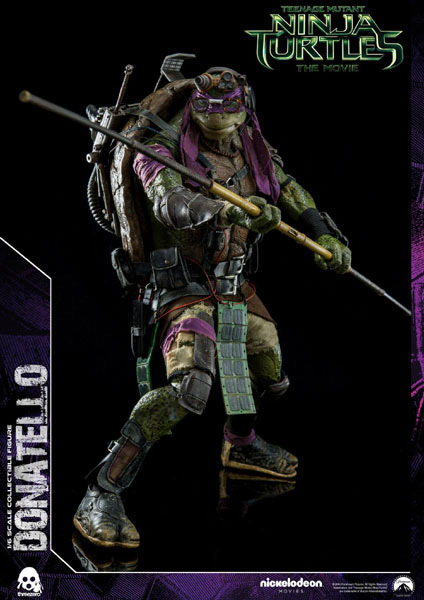 After offering Leonardo and Michelangelo collectibles back in April, we been asked a lot about Raphael and Donatello and when they will be on sale. Today we can reveal all the details and show what we have been working on! 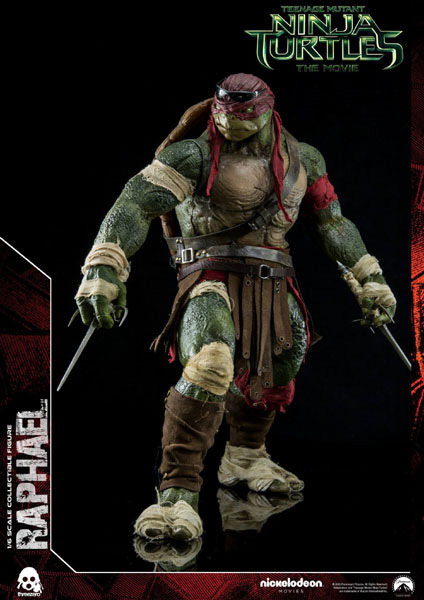 Raphael and Donatello collectible figures will be available for pre-order at www.threezerostore.com starting from June 8th 9:00AM Hong Kong time for 230USD/1780HKD each with International shipping included in the price. 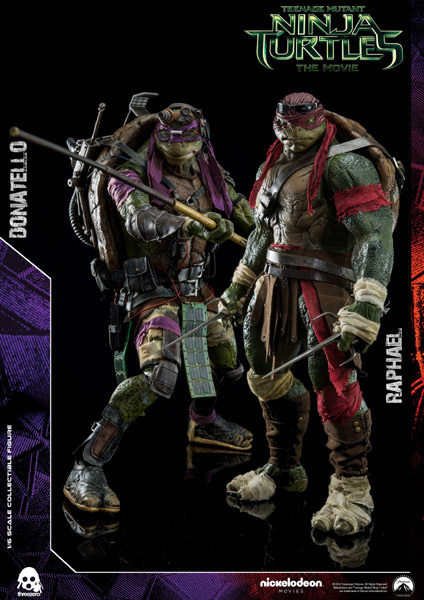 As part of the special threezerostore exclusive offer: We will have both Raphael and Donatello collectibles purchased together offered for a special combined price of 380USD/2950HKD with International shipping included in the price. 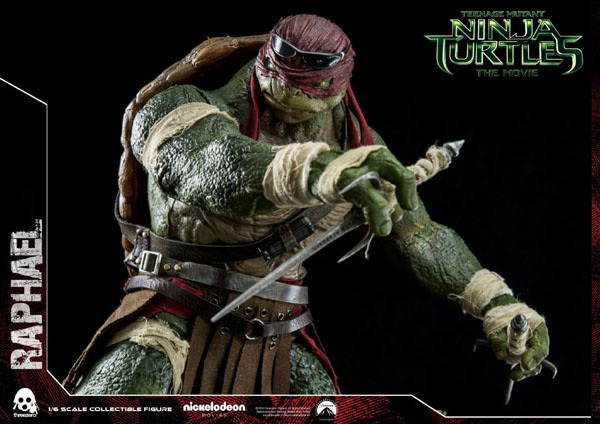 We haven’t forgotten those who missed Leonardo and Michelangelo pre-order and will offer ALL FOUR Teenage Mutant Ninja Turtles: Leonardo, Michelangelo, Donatello and Raphael for 760USD/5900HKD with International shipping included in the price. 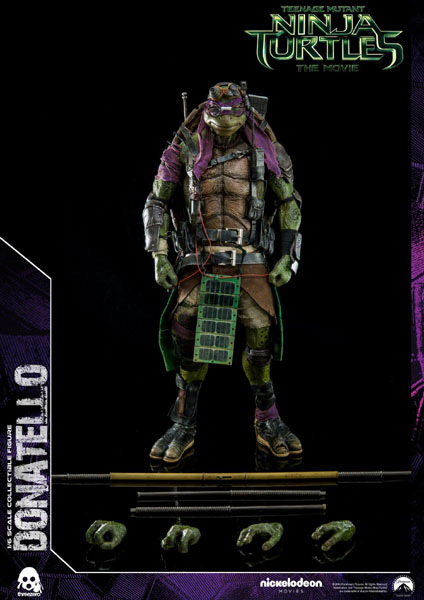 Donatello and Raphael collectible figures come in 1/6th scale and are designed after the characters on-screen appearance. 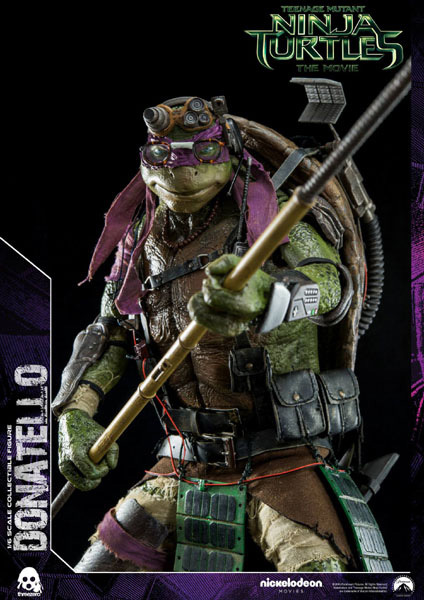 Donatello sands approximately 33.9cm / 13.34inches tall, comes with an extra pair of exchangeable hands, headset, backpack, walkie talkie and extendable fighting Bo-staff. 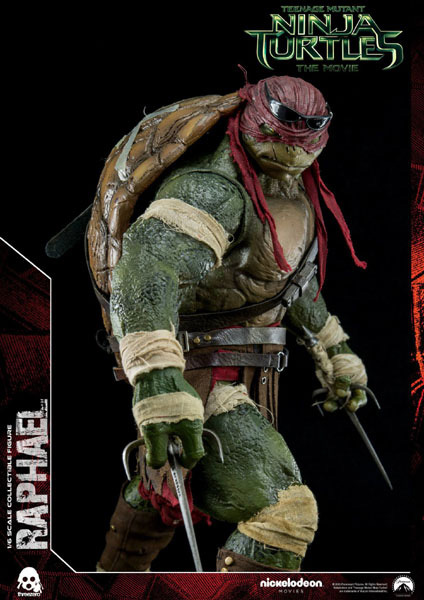 Raphael stands approximately 33.5cm/13.9inches tall and comes with two exchangeable hands, pair of ninja sai, sunglasses and army knife. 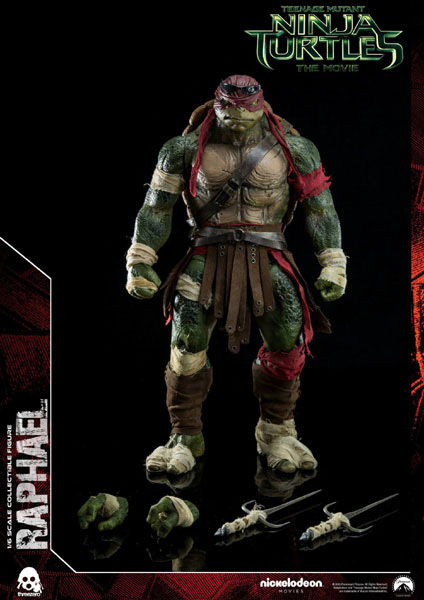 *Realistic paint application to highlight all the details along with battle damaged effect as seen in the film. *Stands approximately 33.5cm / 13.19inches tall.